Remember that your personality traits (whether you follow the Five-Factor Model, the Cattell’s 16 factors, or Eysenck’s three) are relatively stable predispositions to behave or react in certain ways. However, when the pattern of traits for an individual become inflexible, and maladaptive, and have become stable patterns in their thoughts, emotions, and behaviors over time and across situations then they have developed a Personality Disorder. In a Microsoft Word document write about your results taking care to include the following: (a) describe your personality on Two of the 10 disorders that show as moderate or high (if you don’t have two areas that score out as “high” or “moderate” then add to your paper following the directions below for those who do not have any elevations). (b) Give detailed descriptions of the personality disorders using the 4degreez site and your textbook Chapter 13. (c) consider ways in which the characteristics of each of the TWO disorders manifest in your personality, behavior, or thinking thus causing these elevations and use specific examples from your life to demonstrate the features in real situations. If you do not have any elevations read the descriptions for the 10 personality disorders on the 4degreez site and pick TWO of the disorders that have traits you can relate to that you are surprised did not show with elevation when you took the assessment. In a Microsoft word document (a) describe the TWO personality disorders you relate to even if only on a few of the traits. (b) consider ways in which some or all of the characteristics of each of the TWO disorders manifest in your personality, behavior, or thinking although not pronounced enough to cause elevations and use specific examples from your life to demonstrate. The easiest way to write this assignment is one personality disorder at a time, devoting one or two paragraphs to each of the two disorders you select. CAUTION: Do not take the results of this quiz too seriously. It is intended only to familiarize you with personality disorders and help you to recognize that we ALL have a range of high and low personality traits. 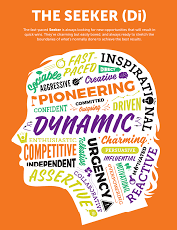 It should get you thinking about how these traits manifest in behavior and thinking. You cannot be diagnosed by a computer quiz. You can take IQ tests on line, tests of personality traits, and tests of various mental health conditions. However, these tools have too few questions focusing on a narrow range of symptoms or traits, and lack the necessary standardization of a real assessment tool, aside from the fact that a qualified professional is necessary and would use many assessment methodologies to understand the complexity of your functioning. In the grade book you should see “!” under “Personality Disorders” indicating the assignment has been submitted. HELP describing the disorders for your paper and for thinking about what features you demonstrate or can relate to: The website where you take your personality disorders self-assessment may not give you definitions of the disorders. Here are two websites with great information. On psychcentral you will need to scroll to the bottom and click on the disorder of your choice. The other site will give you a start on the definition but you will need to click “more” to see complete information. Are those credentials mandatory or optional/voluntary? Do those requirements/credentials vary from state to state or is there a national standard of credentialing for my profession? 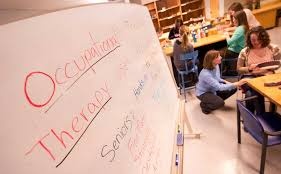 (1) Identify the profession you researched (Occupational Therapy Assistant. (3) Identify whether credentialing requirements are consistent in your profession from state to state or whether they vary. Type a 300-word essay addressing the following topic and upload your submission by the deadline in the class calendar. Your submission must be either in Microsoft Word format (.doc or .docx) or in portable document format (.pdf). 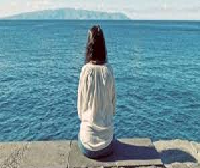 Research conducted by Cacioppo and colleagues (described on page 300 in the textbook) suggests a relationship between loneliness and depression. The results of this study are correlational and do not demonstrate a cause-and-effect relationship. However, further research conducted by Cacioppo and Colleagues indicates that loneliness contributes to depression, not vice-versa. Based on what you have learned about correlations, what could be another explanation for the relationship between loneliness and depression? Specifically, describe a third variable that explains the relationship between loneliness and depression. Psychology ABA Design Essay Paper Explain the guidelines Ledford & Gast (2019) suggest using an A-B-A-B design. Then provide a short discussion of internal and external validity issues for this specific design to include a discussion of the advantages and disadvantages of the design. Finally, identify a hypothetical target behavior (dependent variable) for change and a possible intervention (independent variable). The target behavior should be a behavior you want to increase and the intervention should be some form of reinforcement procedure (i.e., differential reinforcement). Provide a brief scenario and rationale for the behavior change plan. Make sure the behavior identified is measurable and observable. 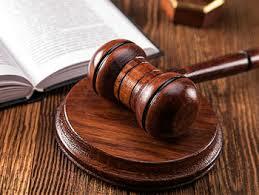 Social work law and policy Legal report and reflection. ASSESSMENT 1: LEGAL REPORT AND REFLECTION. Part B: 300 words) (plus or minus 10%). Words over this limit will not be considered for marking. You must include on your cover sheet what the actual word count for your assignment. Please note that your reference list is not included in the word count. The Purpose of the report is to provide information to give the Registrar/Magistrate factual information about your client’s situation that can assist in coming to a decision in their favour. John is a 20-year-old youth who has been in jail for the past 2 years for breaking in and stealing. John comes from a dysfunctional family. He was 12 years old when his parents separated. His father was an alcoholic, and his mother had schizophrenia. John was put in a foster home where he experienced abuse and family violence. John was very creative and capable of making good paintings. John started using ice when he was 17 years. He developed psychosis due to the use of drugs and was referred to Mental Health Unit. John was charged for criminal offences of breaking in and stealing valuables such as wallet, money, credit card and jewelries. John has an uncle Felix who runs an arts studio, and who had a good relationship with John when he was young. John’s uncle usually visits John while he was in the prison. Please see attached document for FULL instructions and links to resources. RESEARCH REQUIREMENT: 1 outside source plus the story The Things They Carried found in the book Wolff, Tobias. The Vintage Book of Contemporary American Short Stories. New York: Vintage Contemporaries, 1994. Print. ISBN-10: 0679745130 ISBN-13: 978-0679745136. Use the text from the book to support your claim. Develop two or three insights and form them into a thesis (or main claim) about the story that is to be analyzed further. 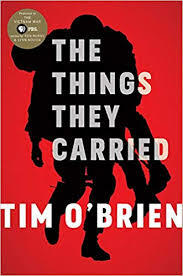 I want to use a theme of how mental burdens outweigh physical agony that people carry in war and how they carried the emotional baggage of each other. Fear, fantasy and responsibility outweigh the physical torture they deal with to stay alive. Once a thesis is created, the topic sentences should repeat the same phrases that appear in the thesis statement. If your topic sentences do not contain those three elements–restatement of the theme, statement of the paragraph’s main idea, and a transition–the essay is not “coherent”; in other words, the ideas are not logically related together. Including these items is also a way to ensure that the essay is analyzing the work instead of just summarizing the story. There must be a thesis (or main claim) and several points that should be covered in the paper. For this paper, use Psychoanalysis, so that to explore the unconscious desires of the narrator and relate it to the current culture of how men handle the burdens of war. Engaging in a “close reading” (Ctrl+Click to open link for info on close reading) is a significant component of this paper. Make sure you have a good understanding of the ENTIRE story. Focusing in on one aspect that is not supported by the rest of the text makes for poor criticism. Assume the role of an academic, who takes into account the WHOLE text, and adjusts his/her criticism to support an integral part of that text. An academic explores, rather than reduces. DO NOT tell me what the author meant or what the author is trying to tell us. That’s 19th Century criticism. Once Postmodernism hit, it wasn’t effective. (It would be like driving a Model T in the 21st century. Cute, but LIMITING.) Also, couching an argument or analysis in terms of “what the author meant” has the unfortunate consequence of suggesting that there is one true meaning of the story — what the author meant. And, we want to come from the reader’s perspective. With the growth of psychoanalysis, and the popularity of Freud’s body of work, theorists began taking an interest in the psychological state of the characters in fiction. Unlike some other schools of criticism, psychoanalytic criticism can exist along side any other critical method of interpretation. Freud’s dynamic model, which he developed early in his career, and which puts forth the idea that the conscious and unconscious minds are separate, became a central discussion for character and author motivation. This of course, puts forth that in fiction as in life, the unconscious governs a large part of our action. 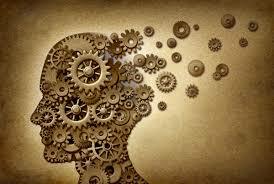 We store our fears, desires, ambitions, passions, irrational thought, in the unconscious. Psychoanalytic critics also employ the Typographical Models about the human psyche. They apply the concepts of the id, superego and ego to both character types, and to discovering the overall character motivations of a more complex character. Some fiction employs an id character as aìfoilî as in a movie like Wedding Crashers. Vince Vaughn is almost always the id, instinctual, an agent of our darkest wishes and deepest desires. 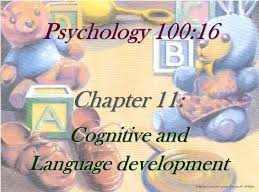 Cognitive Psychology and Language Development This assignment is designed to help you evaluate and analyze measures used for specific diagnostic categories (course learning goal #5-Analyze the concepts of learning and problem solving and apply the concept to real life scenarios (case studies) ). For success with this assignment, you should include what you learned through the week’s reading assignments and instructional video. At your church, there is a woman of the congregation whose child is struggling with the language. This woman knows you are studying psychology and approaches you after a church service with some questions. She is clearly concerned about her 1-year-old daughter, who is only babbling and saying a few words like “mama, “dada,” “babba,” and “hi.” The woman indicates she believes her daughter should be speaking in full sentences by now and is worried there might be something wrong with her development. As you listen to the woman’s concerns, you believe her daughter seems to be developing normal language skills, given her age. You offer to provide some information about normal language development to help ease her fears. The woman is relieved and enthusiastic about your offer and asks if you would consider sharing this information with other parents at the church who have young children. You agree to create a presentation regarding an overview of the language. For this presentation, there should be 8 slides of text, plus a title slide and a reference slide. Each slide should contain 3-4 bullet points of content (complete sentences are not necessary, but the bullet points should each contain enough text to sufficiently communicate your thoughts). Each slide should contain examples and also visual graphics to enhance the presentation. Slide 2: an introduction. This slide should provide an overview of the presentation, including the topic, the audience, and why this presentation will be helpful. Slides 3-4: language comprehension. These slides should discuss how people understand language. What are the components of language comprehension? Examples should be provided. Your thoughts about how language comprehension might be applied to real life should be included. Slides 5-6: language production. These slides should discuss how people produce language. What are the components of language production? Examples should be provided. Your thoughts about how language comprehension might be applied to real life should be included. Slides 7-8: acquiring language. These slides should discuss how people develop language. How do babies learn the language? How does language development progress through the lifespan? Examples should be provided. 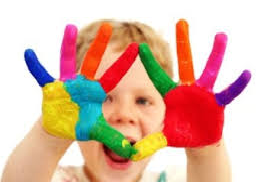 Your thoughts about how language acquisition might be applied to real life should be included. Slide 9: faith integration and conclusion. This slide should discuss the connection between the Christian message and language. What does Scripture have to say about language? Provide examples and discuss your concluding thoughts about language. Slide 10: References, listed in APA format. Your presentation should be in proper APA format (if you are unsure of APA formatting, please reference the materials provided in the Week 0 learning activity). Your presentation should include at least 2 peer-reviewed references, which should be cited throughout the presentation in APA format. You are welcome to use the McBride & Cutting text and any published journal articles. Websites are not considered valid references in academic work. Case: Joan, a 43 year old divorced woman has been seeing you for six months. She is a mother of two teenage children by two different fathers who both live with the younger child’s father in a southern city. Her main complaint is a history of severe depression and she came to you on sertraline (Zoloft) 200mg/d, and alprazolam (Xanex) 3-4 mg/d for anxiety. You have been working with her to change this regimen. Joan is not very receptive to the idea because she says she always develops “weird side effects,” and often is late for appointments so there is no time except to renew the prescriptions. Joan has to move in a month after a housing court battle with her landlord and also has family court appearances for custody in the children’s home city. She lost her job as a magazine writer 2 months ago. Joan seems to have energy to do the things she wants to but complains of poor sleep, which by the way, none of the various medications that she has tried previously have worked. 1. 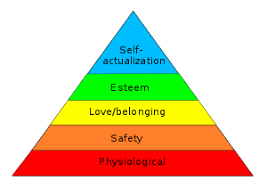 Describe Maslow’s hierarchy of needs perspective. 2. Look at this situation from Maslow’s hierarchy of needs perspective, and describe this patient’s deficiency vs. growth needs. 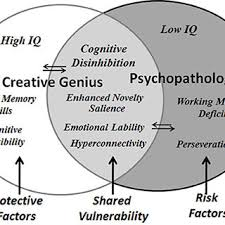 A Link between Creative Genius and Psychopathology is there a Link between Creative Genius and Psychopathology?